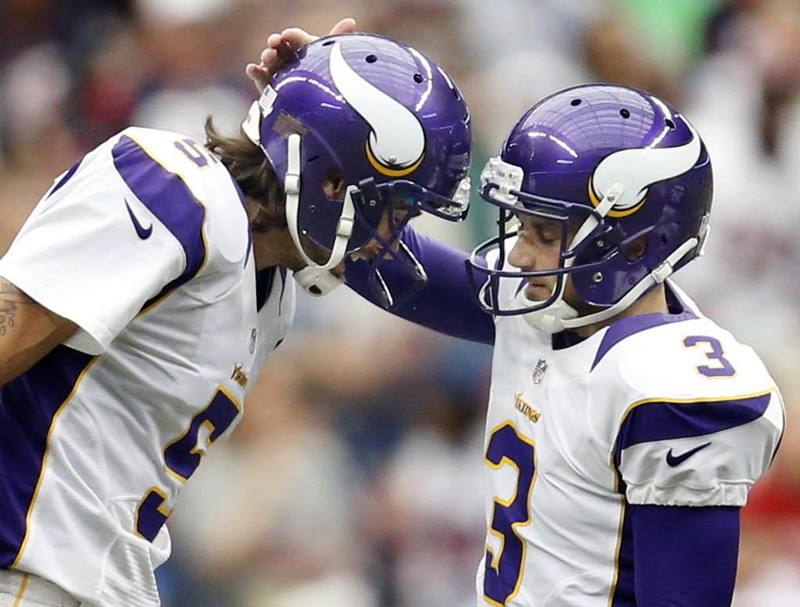 After former Vikings punter Chris Kluwe called special teams coach Mike Priefer a 'bigot' almost three years ago, Walsh sided with the coach in the uproar that followed. In my time here at Minnesota, Rick Spielman and Leslie Frazier have exemplified true leadership. Contrary to Chris’ statements, they have promoted a workplace environment that was conducive for success. At no time did I ever feel suppressed or that I could not be myself. I firmly stand behind Rick Spielman, Leslie Frazier, and Mike Priefer. It’s safe to say there isn’t a ton of love lost between the two, who certainly didn’t see eye to eye on things.